NOTE: Registration for the AmCham Field Trip to Micron is currently full, if you wish to attend this event, please contact AmCham Events Department at MIA SHIH (02) 2718-8226 ext. 311 or email to miashih@amcham.com.tw to be put on the waiting list. We appreciate your understanding. *This field trip is open to AmCham members and member companies only, maximum 10 persons on a first-come-first-served basis. The maximum number of registrants per company is 2. If you wish to register more than 2 participants, please contact the AmCham Taipei office. Get ready for a fun and knowledgeable afternoon exploring the most innovative and leading-edge DRAM center! AmCham Taipei is hosting a field trip to Micron Technology. 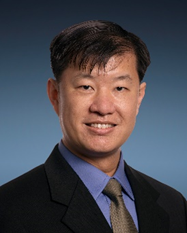 This event will feature an introduction by Lin Kiat Yap, Vice President of Micron, followed by a tour to the Cleanroom. After the tour, participants will have time for Q&A and enjoy some refreshments sponsored by Micron. 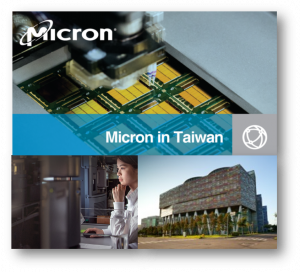 As one of Taiwan’s largest foreign employer and investor, Micron has enjoyed a long-standing partnership with Taiwan and remains committed to its continued success. Lin Kiat Yap is the Vice President of Micron Technology, Inc. and also the Chairman of Micron Technology Taiwan, Inc. During the last 18 years with Micron, Yap has held various roles of increasing responsibility including Fab Director of a Micron site in Singapore and Site Director of Micron’s Virginia Fab in US, and now is Site VP of Micron Technology Taiwan, Inc. He holds a BS in chemical engineering from University of Michigan.